The Academy of Foot Zone Therapy has created a series of education programs that instructors and/or practitioners may use to enhance business. 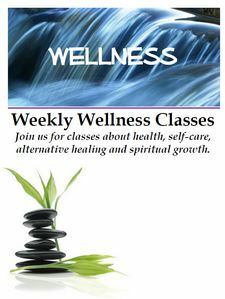 These monthly programs are for your use in teaching your students or educating your clients or general public on ways to achieve optimum health. Over the years we have felt that education is the best way to help others obtain wellness. These classes are designed to run about an hour. The topics will vary each month and rotate through the following four main topics. The idea behind this is that we all need to share what we have learned through our studies. If you present classes, either once a week, once a month or to local clubs such as Rotary, Lions, Kiwanis and churches you will be exposed to potential new clients and have the opportunity to share your knowledge and passion for healing. You don’t have to teach all the classes, just organize them (get someone else to train) and be there. Make it a fun evening with door prizes, competition, guests and maybe even healthy treats. Recipes can be shared, ideas can be expanded and fun for all. Each month before the conference call there will be handouts made available to you on the web site under “Call/ Call Outline”. Just download the outline and prepare to enjoy the call. The call is recorded each month and will be archived for future use. If we have a call that is of interest to one of your clients you can share the recording with them. If you have topics that you would like to learn more about or are willing to share, please contact the Academy. Keep in mind that these are all suggestions. We do NOT diagnose or prescribe.